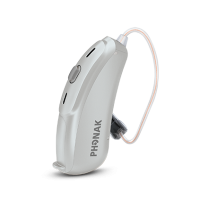 Our innovative and powerful Nathos Auto Portfolio provides a seamless listening experience and marks the beginning of a next generation of hearing solutions for the NHS. It reflects our mission to continuously challenge the limits of technology and provide innovative, unrivalled solutions to meet patients’ individual needs. This is where the signature operating system at the heart of the Venture platform, AutoSense OS, excels. 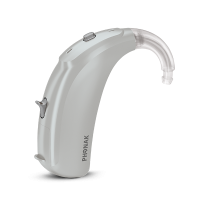 Powered by a state-of-the-art propriety chip which provides double the processing capacity of its predecessor, Phonak Nathos Auto allows patients to benefit from better all-around hearing performance in even more listening situations. 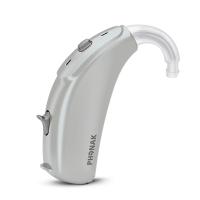 ^Phonak internal validation study, results are based on a 16 hour day with a 312 battery. 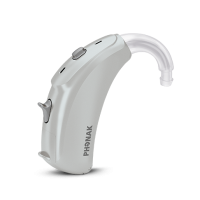 Running on AutoSense OS, Nathos Auto hearing aids recognise and automatically adapt to more of your patient’s listening situations then ever before. AutoSense OS accurately captures and analyses the sound environment and then precisely blends feature elements from multiple programs in real time to provide a seamless listening experience. Music needs different types of requirements to speech and it makes no sense to blend other programs and features. 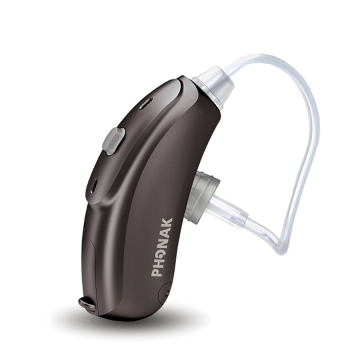 With Nathos Auto, music has its own program that allows the patient to hear with excellent sound quality. 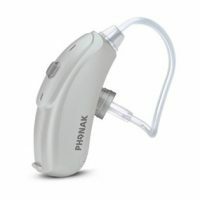 Zooms in on a single voice in a diffuse noisy environment, improving speech intelligibility. The program’s key feature. StereoZoom, now adapts to moving and asymmetric noise sources, improving speech intelligibility by up to 60%.